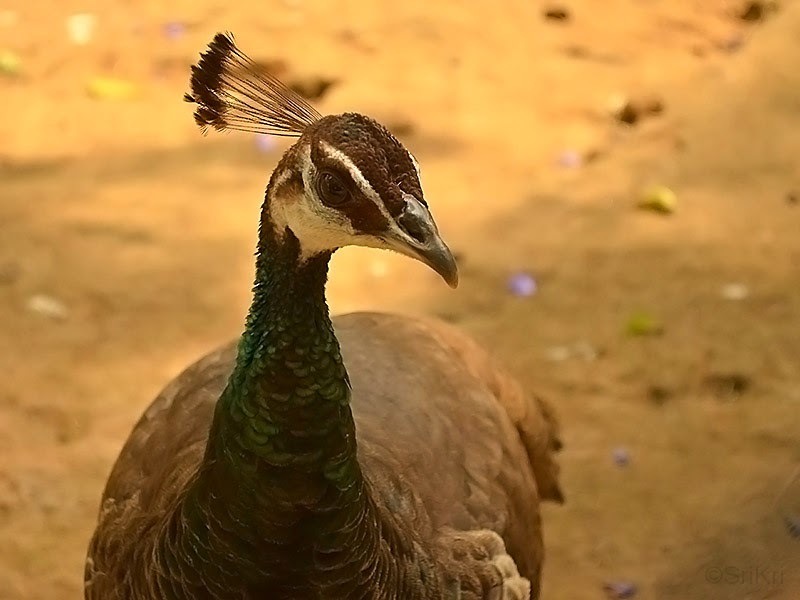 Yercaud is a popular hill station of Tamil Nadu in Salem district. 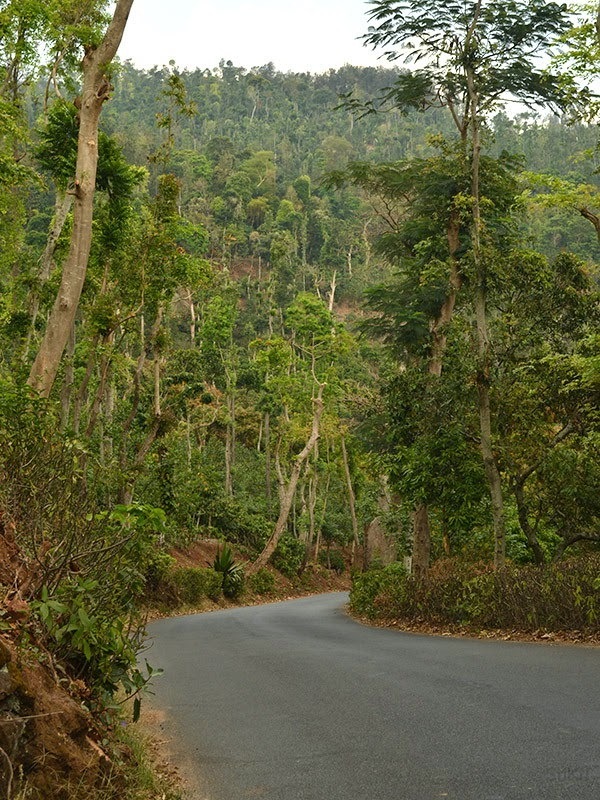 This picturesque hill station is located 35 km from Salem and 75 km from Mettur dam. On the way to Yercaud. 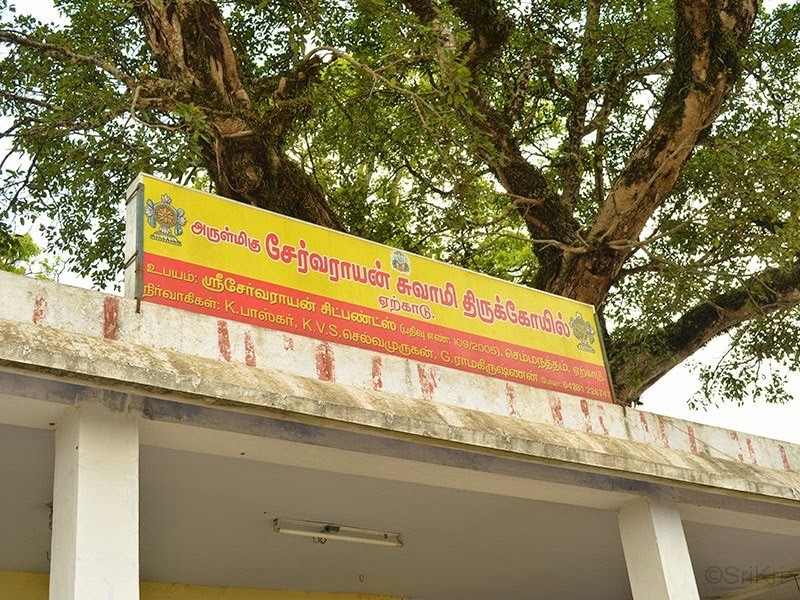 Tharamangalam temple: This Shiva temple located on the way to Yercaud and it is about 30 km from Salem. The main diety is Kailasanathar (Shiva). The ancient temple is known for its beautiful sculptures. 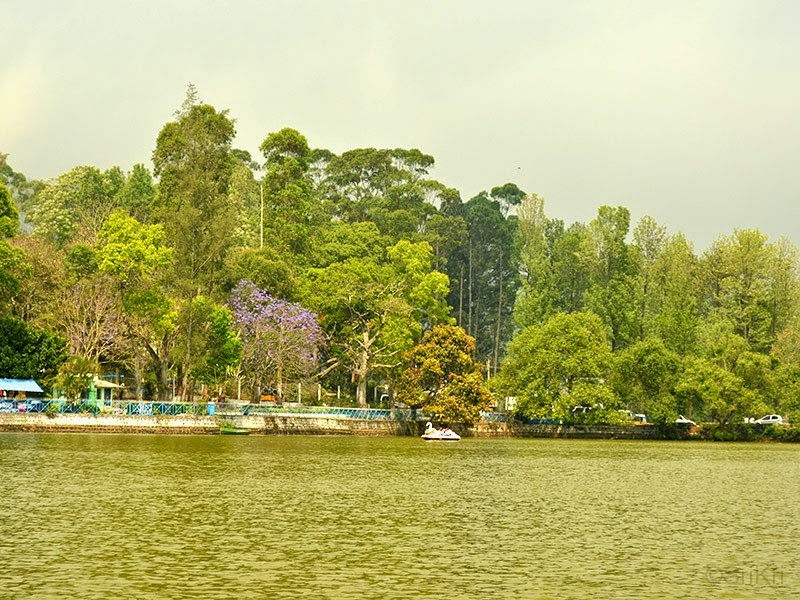 Yercaud Lake Boat House: Is surrounded by gardens and well-wooded trees. 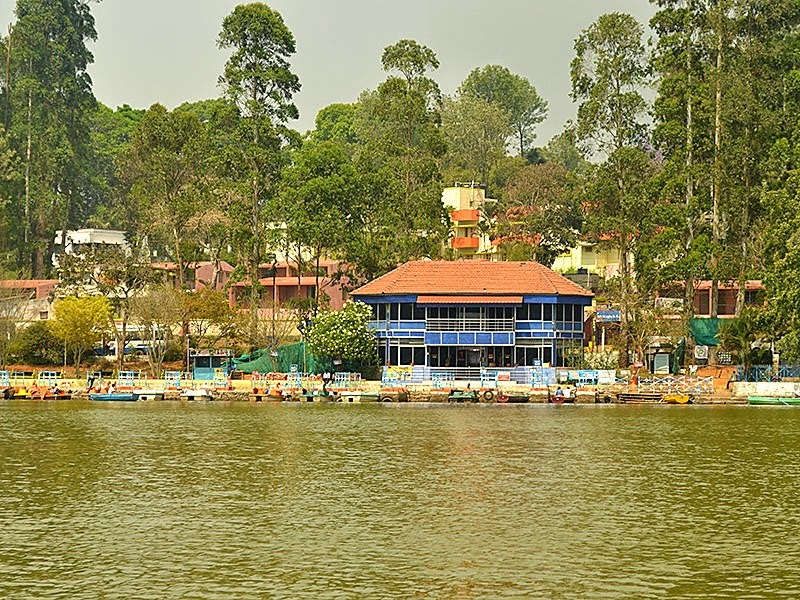 View of Boat house captured from the mid of the lake. Lake view and surrouding gardens from the boat. 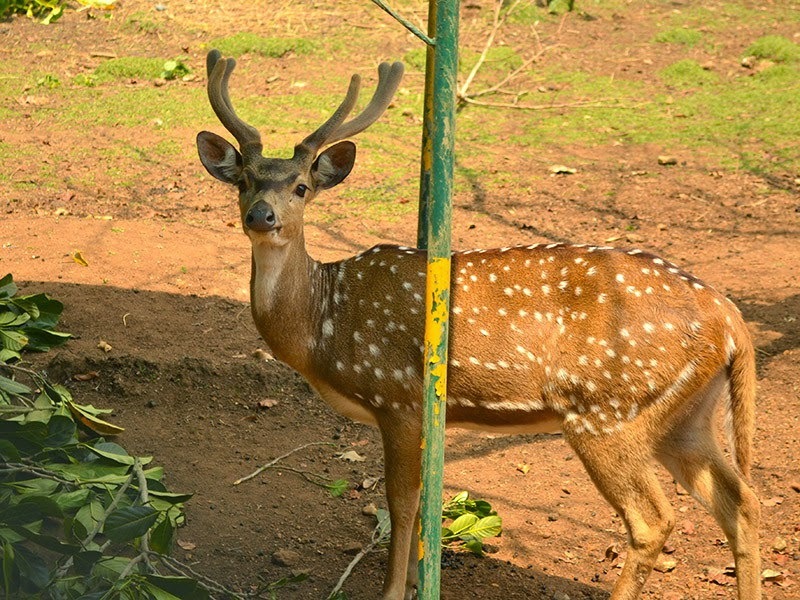 Anna Park: This is one of the attraction which is located next to Boat House. They house Deer, Peacock, rabbit. 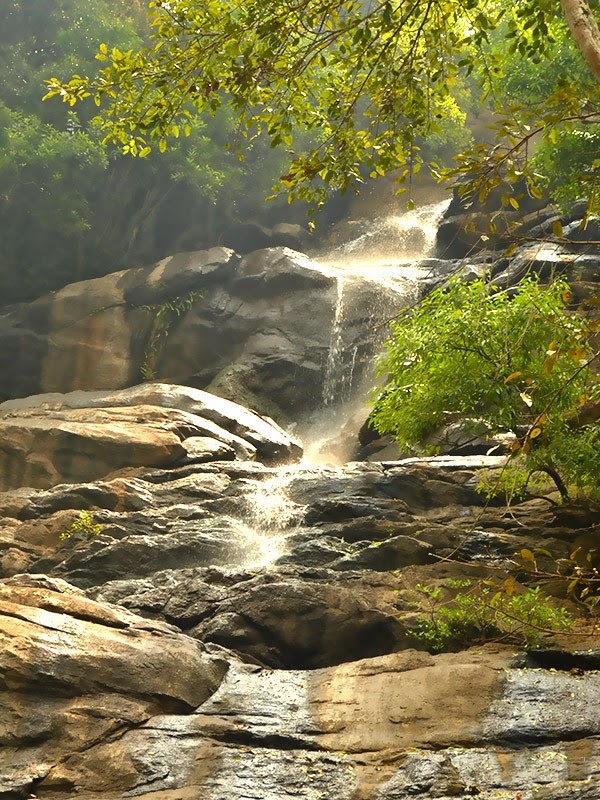 Kiliyur Falls: This is a beautiful fall which is located around 3 km from lake. The final 1/2 km are steep pathway. Best time to visit this place is immediately after monsoon. Kiliyur Falls taken during off-season. Raja Rajeswari Temple: Main deity is godess Raja Rajeswari. 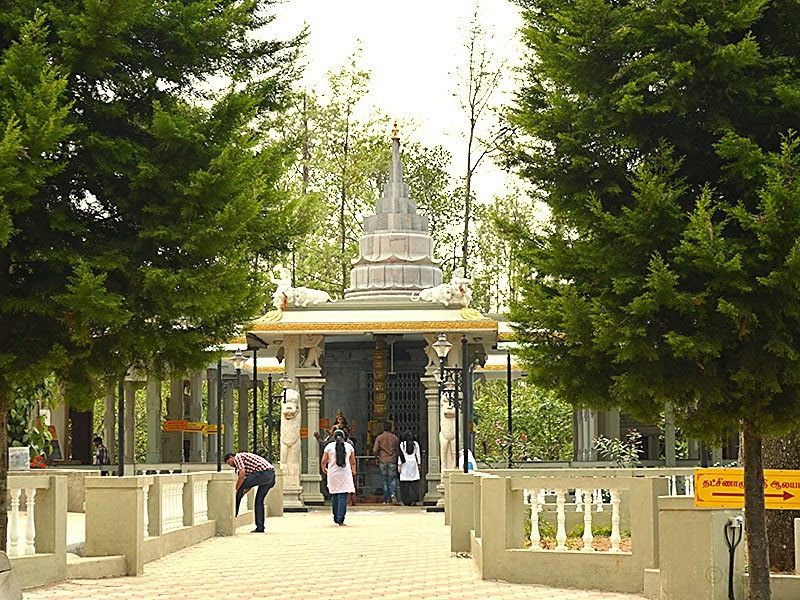 Sri Chakra Maha Meru Temple: This is the world biggest Chakra Maha meru temple situated amidst dense silver oak trees. The deity is goddess Lalita Tiripurasundari and the Yantra is known as the Sri Chakra. 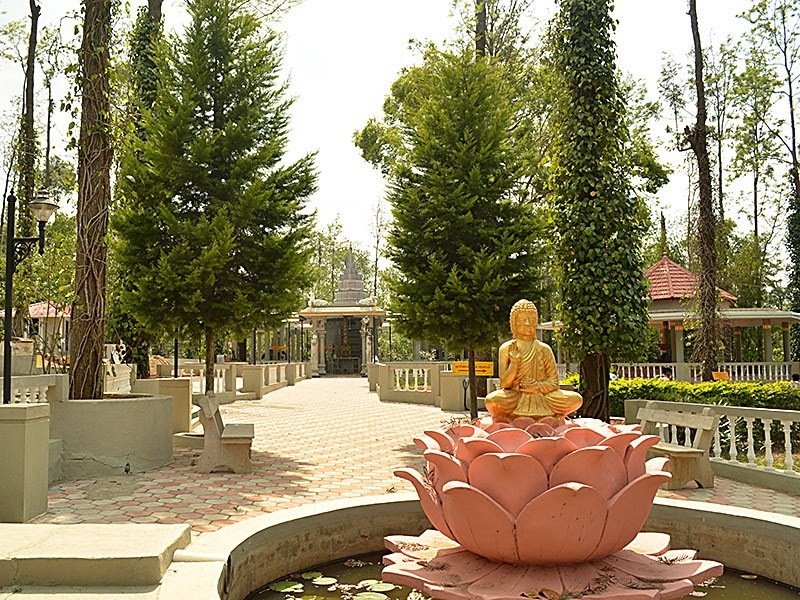 Buddha on lotus located at the entrance of the Sri Chakra Maha Meru Temple. Main view of Sri Chakra Maha Meru Temple. Shervaroyan Temple: This is a Shiva temple. The temple's sanctum is inside a cave. Pagoda Point: This is also known as Pyramid Point. 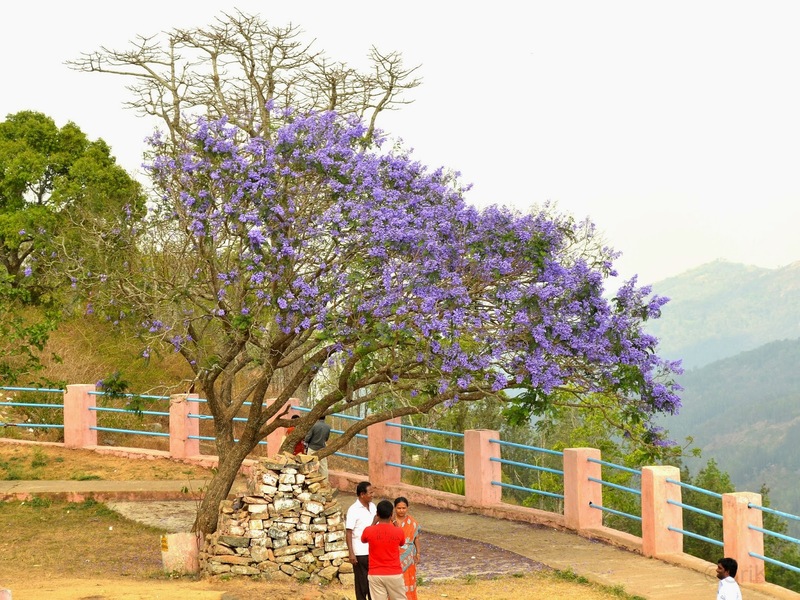 Located on the eastern part of Yercaud Hills. One can enjoy beautiful views of the town of Salem and a nearby village known as Kakambadi.